Cerebral Palsy is used to describe a series of chronic disorders that impair control of movement due to the damage to the developing brain. Usually develops by age 2 or 3 and is a non-progressive brain disorder. The extent of damage does not continue to worsen over time but the symptoms due to the brain damage often change. It is one of the most common causes of chronic childhood disability. The estimates of CP ranges from 1.5 to more than 4 per 1,000 live births or children of a defined age range, as per population-based studies from around the world. It has also been found that between 35% and 50% of all children with CP will have an accompanying seizure disorder and some level of mental disability. Stem cell treatments have emerged as the effective cerebral palsy treatment. Cerebral Palsy also termed as “CP” described by loss or impairment of motor function is caused by brain damage. Brain injury or abnormal development of the brain causes brain injury that occurs while a child’s brain is still developing — before birth, during birth, or immediately after birth. 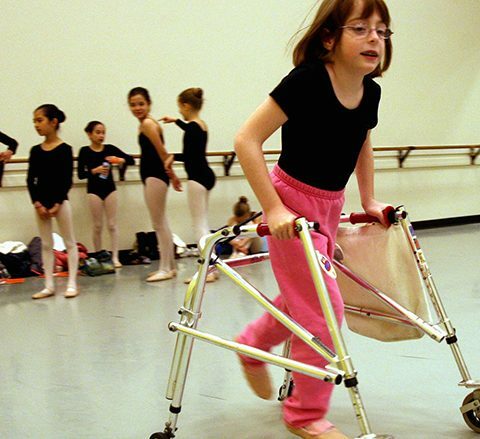 Cerebral Palsy affects body movement, muscle tone, reflex, muscle control, muscle coordination, posture and balance. It can also impact gross motor skills, fine motor skills, and oral motor functioning. You can refer the specialists at StemCellCareIndia for effective cerebral palsy stem cell treatment in Delhi, India. Your child does not seem to be developing motor skills — such as rolling over, sitting up, or crawling — at a normal pace. The signs are different from symptoms in Cerebral Palsy. Signs are clinically identifiable effects of brain injury or malformation that cause Cerebral Palsy but symptoms are effects a child feel or expresses. Symptoms are not visible. A doctor will separate signs of a health concern during examination. The impairments resulting from this disease range in severity, usually in connection with the degree of injury to the brain. It is a group of conditions, signs and symptoms vary from one individual to another. The initial effect is impairment of muscle tone, gross and fine motor functions, balance, control, coordination, reflexes, and posture. Oral motor dysfunction, such as swallowing and feeding difficulties, speech problems, and poor facial muscle tone can also signify Cerebral Palsy. Associative conditions, such as sensory impairment, seizures, and learning disabilities that are not a result of the same brain injury, occur frequently with this disease. When present, these associative conditions may contribute to a clinical diagnosis of the disease. The diagnosis of CP is done after evaluating a child’s medical history and a physical exam. Computed Tomography (CT) scans or Magnetic Resonance Imaging (MRI) scans may be used to look for abnormalities in the infant’s brain. The diagnosis of CP is difficult because they have more than one type of medical condition and the symptoms may change during their first few years. A diagnosis can often be made within the first months of life in these children. About 43% of cases are diagnosed within this time frame; about 70% are diagnosed by the end of their first year. 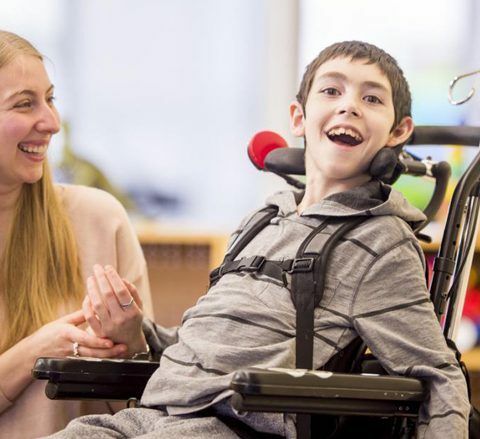 Cerebral Palsy Stem Cell Treatment Aftercare: The patients will be asked to visit the doctors for some tests to analyse the improvement. Suggestive rehabilitation programs may include behaviour and emotional development, communication and social interaction, self-regulation, cognitive and adaptive skills. 1.Is cerebral palsy a disease? The term cerebral palsy refers a disorder primarily based within the brain that affects movement. Cerebral refers to the brain, whereas palsy refers to the interference with movement. The movement difficulties practiced by brain disorder patients are due to harm or malformations among within the brain, not by issues within the muscles themselves. 2.Are there differing types of cerebral palsy? The spastic types of CP ar characterised by stiff muscles and muscle spasms. The dyskinetic types of CP ar characterized by involuntary, squirming movements. 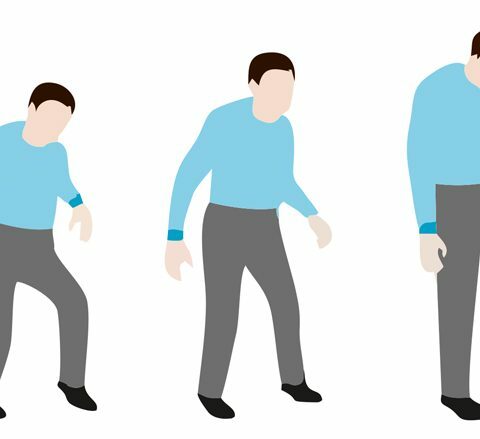 Ataxic CP, the smallest amount disabling of all the forms, is characterized by balance and depth perception issues that build walking tough. Hypotonic CP is characterized by too relaxed, “floppy” muscles. because the name implies, mixed CP is characterised by symptoms of 2 or additional types of the disorder. 3.How severely can my kid be tormented by cerebral palsy? The answer depends on the sort of CP and also the extent of the brain harm or brain malformation that caused it. Impairment from CP ranges from delicate to severe. many folks with brain disorder lead nearly traditional lives, whereas some CP patients need constant care from others throughout their lives. Cerebral palsy is caused by brain harm or brain malformations. often genetic abnormalities cause the brain to develop abnormally, however most cases of brain malformation are owing to alternative factors. Exposure to toxins will interfere with the right development of the unborn baby’s brain. harm to the nervous tissue of the brain is especially possible to steer to CP. Between twenty six and thirty four weeks gestation, the unborn baby’s brain is very at risk of injury to the nervous tissue, however harm will occur at any purpose within the maternity. Infections within the mother or within the unborn baby will cause brain harm. The inflammation created as a traditional a part of the infection fighting method will cause harm to the baby’s developing brain cells. Infections may also trigger strokes within the craniate, resulting in element deprivation; prolonged element deprivation will cause brain harm that ends up in CP. Uncontrolled high vital sign within the mother throughout maternity puts the craniate at higher risk for a stroke. extraordinarily low maternal vital sign may also place the unborn baby in danger for a stroke. observance and dominant the vital sign may be a very important a part of sensible antepartum care. Rh incompatibility, a condition within which the fetus’ Rh blood group conflicts with the mother’s Rh blood group, may also cause brain disorder. incompatibility ends up in severe jaundice a buildup of haematoidin within the blood which might cause hearing impairment and CP. a as luck would have it, incompatibility may be treated if caught in time. within the us, testing for incompatibility is regular a part of antepartum care, however this is often not matters in several alternative countries. If you’re pregnant, check that your doctor checks for incompatibility as early as potential within the maternity. Severe jaundice caused by issues apart from incompatibility may also cause CP. Jaundice is common in newborns, however it may be treated. 4. Is brain disorder hereditary? Some cases of brain malformation are owing to factor abnormalities that forestall the brain from developing unremarkably, however this is often rare. Most cases of CP aren’t in anyway hereditary, however are owing to factors that occurred throughout the course of the maternity. The term nonheritable means that gift at birth. Between ninety to ninety five p.c of CP cases ar nonheritable. nonheritable CP includes those cases that were caused by element deprivation throughout birth. 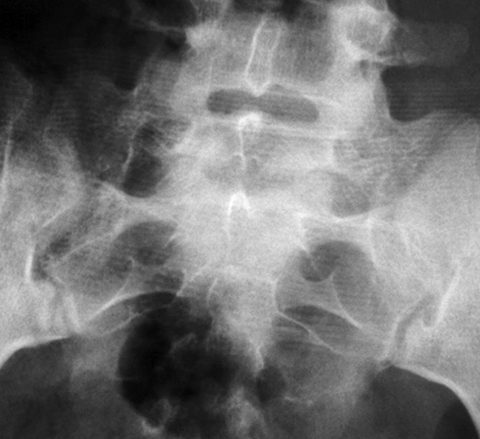 Doctors accustomed believe that the majority cases of CP were caused by an absence of element throughout a tough labor and delivery, however it’s currently better-known that fewer than ten p.c of nonheritable brain disorder cases stem from physiological state or alternative issues throughout birth. the bulk of issues that cause CP occur throughout development within the female internal reproductive organ. Brain trauma, infections, strokes, and alternative issues when birth will often cause nonheritable CP. because the name implies, nonheritable CP means the condition was nonheritable when birth. 6.Can alcohol consumption throughout maternity cause cerebral palsy? Alcohol consumption throughout maternity raises the chance of complications which might cause brain disorder, and lots of alternative birth defects. there’s no established safe-level of alcohol consumption throughout maternity, thus pregnant girls ought to avoid alcohol entirely. 7.Are premature babies at larger risk for cerebral palsy? Babies born untimely are at a better risk for brain disorder. fashionable medical techniques save a better proportion of premature babies, however these babies ar additional liable to developing disabilities than term babies ar. Babies with a coffee birthweight are additional in danger for brain disorder, even though they’re mature. 8.Are girls with bound medical conditions additional possible to own a baby with CP? Women with slowness, a seizure disorder, or a thyroid disorder are slightly additional possible to own a baby with CP, than girls UN agency don’t have these conditions. 9.What proportion of brain disorder patients have mental retardation? According to the National Institute of neurologic Disorders and Stroke, roughly simple fraction of patients with CP have some mental impairment. slowness will vary from delicate to severe. individuals with the spastic palsy ar additional possible to own mental disabilities than those with alternative types of CP. CP patients with brain disease are additional possible to own slowness. owing to communication toughies it’s generally difficult to accurately assess the IQs of CP patients. Learning disabilities while not slowness are related to brain disorder. The speech, hearing, and vision issues that generally accompany CP will build learning tough. Many CP patients have traditional IQs and no learning disabilities. many CP patients are intellectually precocious. 10.Is brain disorder a severe condition? Cerebral palsy isn’t a terminal condition, however before the appearance of newer medical techniques within the mid-twentieth century most kids with CP failed to live into adulthood; complications from the disorder claimed their lives. Today, between sixty five and ninety p.c of kids with brain disorder reach adulthood. CP is nerve-wracking for the complete body and might cause premature aging, notably of the guts, blood vessels, muscles, joints, and bones. The complications stemming from CP may be severe. brain disorder will cause metabolism and swallowing difficulties. issue swallowing will cause deficiency disease associated/or bronchopneumonia within which food is indrawn into the lungs inflicting an infection. deficiency disease causes weakness associated muscle deterioration; it weakens the system creating the patient additional at risk of infections and fewer ready to absolutely recover if an infection happens. CP patients whose quality is extraordinarily restricted could have to be compelled to sit or lay down for extended periods of your time, running the chance of pressure sores. Untreated pressure sores will develop severe infections. The intestine and bladder issues overtimes related to CP will cause additional serious complications once not properly managed. 11.Can brain disorder be cured? Cerebral palsy cannot be cured. The brain harm or brain abnormalities from that it stems ar irreversible. as luck would have it, nowadays abundant may be done to boost the standard of life for CP patients. 12.Can brain disorder be prevented? Good antepartum care will facilitate lower the chance of vertebrate strokes from maternal high vital sign and infections. applicable antepartum care may also forestall complications from incompatibility. Preventative measures before maternity may also scale back the chance of birth defects; girls with inflammatory girdle illness ought to have the condition treated before changing into pregnant. girls designing on changing into pregnant ought to immunized against three-day measles (German measles), which might cause birth defects and will consult their doctor on alternative measures they will go for assure a straightforward maternity and a healthy baby. However, some factors which might cause brain disorder and alternative birth defects cannot be prevented. there’s no guarantee that the mother or the baby won’t develop associate infection; infections within the unborn baby ar tough to treat. 13.What style of analysis is being done on brain disorder treatments and prevention? Extensive analysis is being done on brain disorder treatment and bar. abundant of this analysis is funded by the National Institute of kid Health and Human Development, the National Institute of neurologic Disorders and Stroke, and personal organizations like the United brain disorder analysis and academic Foundation. Research is being done on brain development in hopes of learning what may be done to stop brain abnormalities from developing. Scientists are finding out the role female internal reproductive organ infections play within the development of CP. alternative analysis centers on finding new ways in which to designation CP earlier, in order that treatment may be begun as quickly as possible; early treatment ends up in higher outcomes for CP patients. In addition, analysis is being conducted on the assorted ways of physiatrics used for CP to work out that ways ar best and to develop higher technology to utilize with these ways. for instance, purposeful electrical stimulation of the muscles will facilitate strengthen spastic muscles, however the technique uses large deep-seated devices; analysis is being done on employing a needle to inject little devices at the mandatory sites, so creating this medical aid additional sensible and reasonable. 1]14.How will stem cells be helpful to treat? Undifferentiated adult autologous stem cells ar mutable and might metamorph into uncounted variety of cells as per the need. This exceptional propery of stem cells may be exploited for treating form of diseases. These cells may be isolated from the foremost potent sources of our own body referred to as fat and Bone Marrow. Upon implanting back to the body, these cells will chop-chop multiply with the nice speed to revive broken fibres, regenerate somatic cell also will improve broken operate. 15.Why is stem cells treatment higher than standard treatment approach? Conventional treatment approach extremely invasive related to several facet effects. though stem cells will naturally heal the body from harm and regenerate lost neurons to boost impaired functions. to boot since body’s own cells ar used for repairing, the complete treatment is minimally invasive with none facet effects. and reducing the intrinsic cell apoptosis. Stem Cell Care India has been providing treatment access to Cerebral Palsy patients for several years. 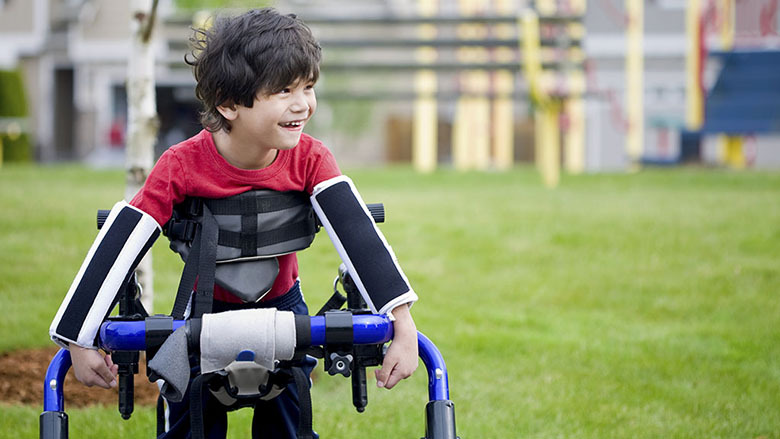 We provide the best available treatment plans for our Cerebral Palsy patients which start with extensive medical evaluation by our in-house team of experts. Patients receive a complete treatment package which involves multiple recommended doses of stem cells, stem cell growth factors and extensive rehabilitation. We believe that there is always hopefulness and that patients deserve access to effective and safe treatments. We are self-regulating with an in-house medical sector. We combine globally accredited hospitals, next generation treatments, unique goods and services that are integrative and effective to ensure finest treatment outcomes. An aggregate of 108 patients suffering from cerebral palsy underwent treatment and were assessed post-treatment. We witnessed clinical improvements in 64.3% of the patients.Amended motor functioning accompanied by reduced spasm glitches and a resulting improvement in the aptitude to sit, stand and walk was the main achievements. It was perceived that the treatment improved posture steadiness and mental functioning resulting in superior communication.Improvement of speech was observed in 30 patients. An enormous reduction and even non-occurrence of epileptic seizures was testified in 11 patients, altogether, during the follow-up in post-treatment period. The improvements in 89% of the patients were perceptible in 8 weeks post-treatment with the autologous stem cells. My Son, Samuel was diagnosed with cerebral palsy 2 years back. I tried a lot of treatment options but everything was in vein. Then, I resorted to the StemCellCareIndia’ “cerebral palsy stem cell treatment” and because of the adeptness of experts there, my son is fit and fine now.